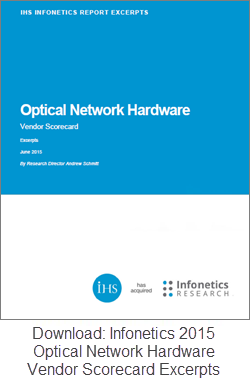 Infonetics has just released its 2015 Optical Network Hardware Scorecard. In it, Ciena is described as hitting on all cylinders and given high marks for both market presence and momentum. “This result is proven out by strong customer perceptions of service and support and reliability. More customers like and respect Ciena products and technology than anyone else’s,” says the report’s analysis. You can now download a free excerpt of the report for all the details. With more than a dozen vendors worldwide that make and sell optical equipment, it’s a crowded market. Separating yourself from the pack is about a lot more than just pushing light through long-haul pipes. 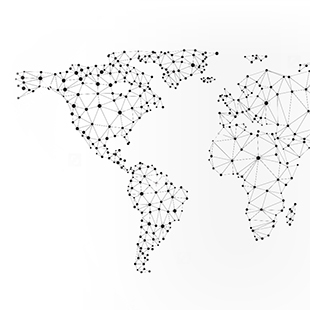 The rise of the cloud, the demands of Internet Content Providers (ICPs) and the evolution toward SDN means optical vendors must rapidly innovate to address an increasingly complex market. 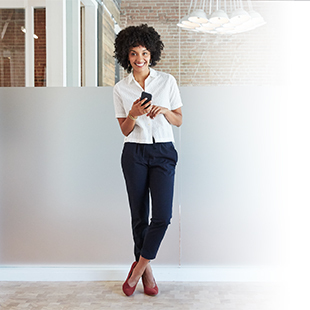 Ciena has been doing just that, and analyst firm IHS Infonetics just put some hard numbers behind our presence and momentum with its new 2015 Optical Network Hardware Vendor Scorecard. 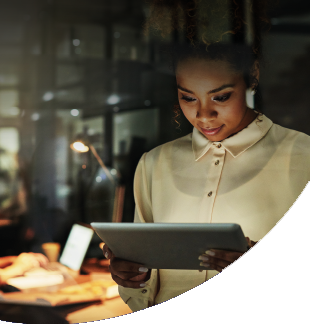 Infonetics described Ciena as “hitting on all cylinders,” ranking Ciena #1 for market momentum, a leader in market presence, and an overall leader in this highly competitive market. See below for Infonetics’ Leadership Landscape Graph for all 10 vendors evaluated. 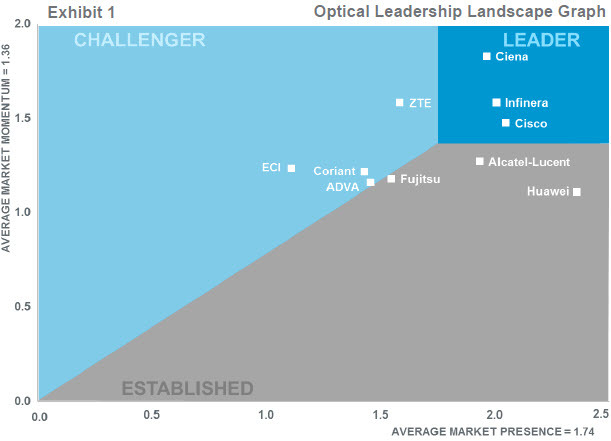 The Infonetics Optical Scorecard is unique in its methodology, evaluating the top optical hardware vendors using actual data and metrics, including direct feedback from buyers, vendor market share, market share momentum, financials, brand recognition, reputation for innovation, and other benchmarks. Infonetics then takes these metrics and classifies each vendor as Leader, Established, or Challenger depending on their overall score. Below is Ciena’s individual scorecard. New for the 2015 Scorecard is a measure of each vendor for two categories: market presence and market momentum. Market presence is measured by company size, brand recognition, reputation and financials. Market momentum measures a vendor’s growth, potential, reputation for innovation and development of next gen technologies. Only vendors that score high in both categories make it into the Leadership classification. Infonetics ranked Ciena tops in market momentum and highly in market presence, with top market share gains in 2014 and a strong record for innovation and support. “This result is proven out by strong customer perceptions of service and support and reliability. More customers like and respect Ciena products and technology than anyone else’s,” says the report’s analysis. You can download a Ciena excerpt of 2015 Infonetics Optical Scorecard here for all the details.